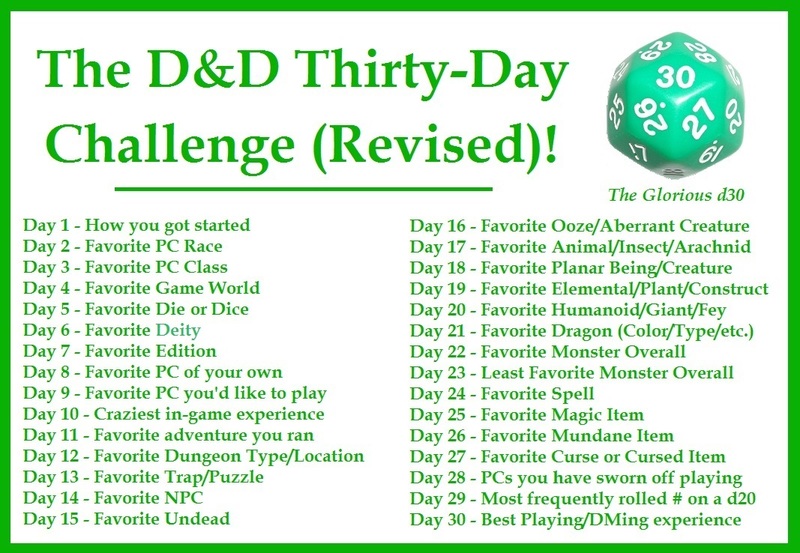 Creative Mountain Games: CMG Extra - "Favorite PC of your Own" Day 8 of The D&D Thirty-Day Challenge! CMG Extra - "Favorite PC of your Own" Day 8 of The D&D Thirty-Day Challenge! Day 8 - "Favorite PC of your Own"
I've mentioned one of my favorites the other day ("Favorite Race") and the pickings are a bit slimmer than my 40+ years of RPGing might indicate. I am a GM/DM more than ninety-percent of the time. However, even some PCs that I only play once or twice can stand out as favorites. There was a Summer in the early 1990s when I wanted to take a break from DMing, having just finish a campaign that had begun the previous Fall using 2E AD&D with Harn from Columbia Games as the setting. I had a softball league or two that coming season and wanted to take it a bit easier for a few months. Prepping for weekly games (sometimes twice or thrice a week in those days) can be a bit arduous. One of our number, and we had a very large group, agreed to step up He had been hoping to anyway, as he had just acquired the Dragonlance modules. He was a big fan of all things Dragonlance as were a few others in the group. 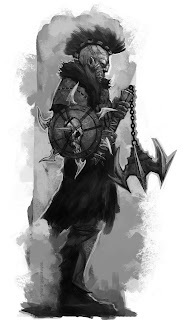 Being the most experienced player of our gang, when the pregens were doled out and we came up one short, I agreed to make a character of my own to join the Dragonlance regulars. I swear, I was not being contentious when I floated the concept, and the DM gave me no warning that this particular character might have trouble fitting in with the party and the setting, so the Half-Orc Paladin named Basil O. Cash was born. You might recognize the name, since I lifted it off of the five hundred dollar bill from The Game of Life (1960), an old parlor game for those not in the know. I had been given special dispensation to make a non-Human Paladin, perhaps, because I was tasked to bring in a character and wouldn't have the advantage of a setting-oriented pregen. I also banked on limiting how much the group might dislike a Half-Orc by making him a Paladin, given that he was such an upright citizen in all other respects. Now I will admit that this character turned out to be a disaster in many respects. I offered multiple times to sideline him and come up with something new. The DM was even chided by some of the other players for allowing Basil in the first place, but he kept insisting it would work. All of this was further exacerbated by the linear nature of those modules and the way in which the pregens were all meant to fit tightly into that structure. It may well have been a long Summer and not a lot of fun for any other DM, group, or player of Basil, but we all had great fun with this fish out of water slash stranger in a strange land. His forthright approach to situations and clueless nature when it came to any form of deception got him into a bit of trouble but nothing he and the group couldn't handle. In the end, he definitely became a favorite character of mine and one I remember playing with great fondness. 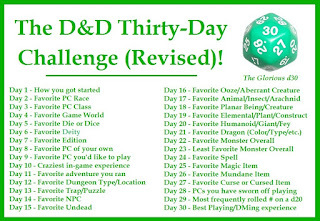 The original D&D 30-Day Challenge meme had a duplication and was a bit more edition-specific than I thought was useful for my purposes, so I made some adjustments and had some folks on the Internet give it the once-over. Here's the result and what I will be doing through the month of June as "CMG Extras."